STEEL HORSE PERFORMANCE is owned and operated by Kathy Stephens and Justin Horsky. Both are addicted and dedicated to fast, high performing Motorcycles: owning several bikes themselves. It’s their passion and they love the adventure and thrill that comes with the open road. Steel Horse Performance was started because Kathy and Justin were frustrated with the poor customer service and attention to detail found in the motorcycle industry. There was a distinct lack of skilled technicians able to complete Performance Enhancement and Servicing to their high standard: whilst also treating customers with respect and courtesy. 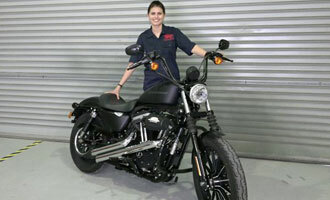 Realising this need, they decided to go into business – and so Steel Horse Performance was born. 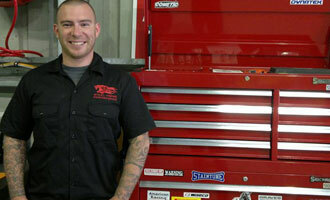 Justin the Head Mechanic, was born in the USA, and is Harley Davidson factory trained. He has worked in both Harley dealerships and after-market performance workshops. With 12 years industry experience in Australia, New Zealand and the USA; Justin's prepared bikes for Nitro Harley Davidson, Alcohol drag bikes, V-Rod Destroyer Bikes and is a specialist in Performance tuning. He has also tuned sport bikes for SBK riders. Our forte was, is, and always will be, Motorcycle Enhancements and Tuning. 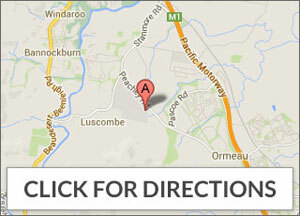 We pride ourselves on our technical experience, quality workmanship, and professional care. Our passion is your passion; fast, beautiful, high performance Motorcycles.